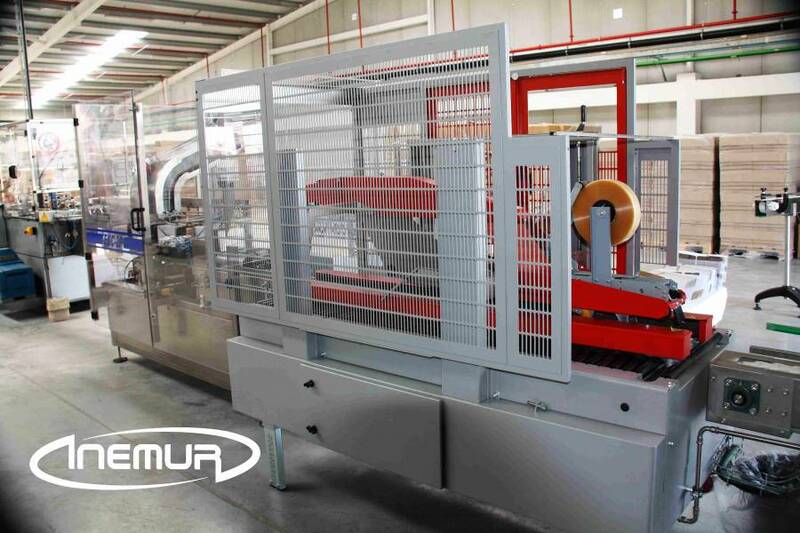 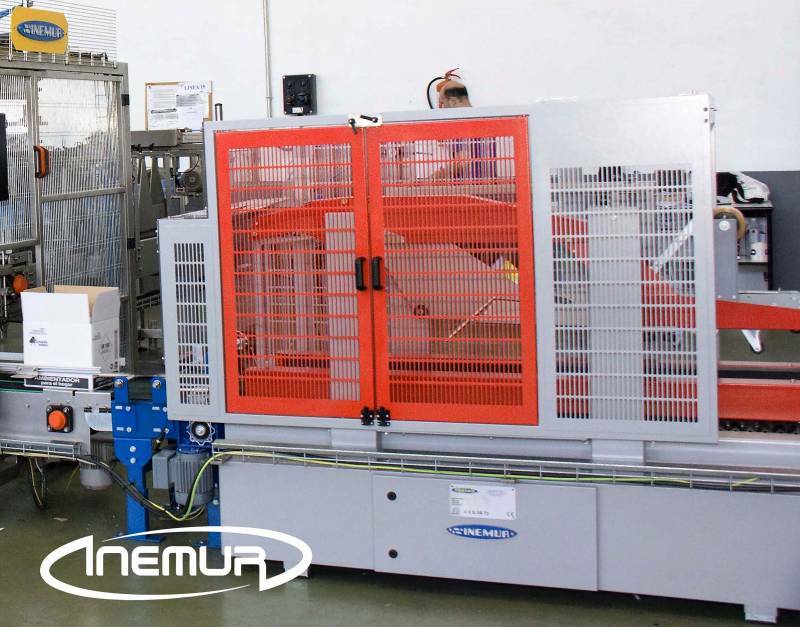 INEMUR has extraordinary experience in lines embedded with American format or” “B-1”, “integrating into each case erector and post-embedded most appropriate according to the specifications of the case sealer, working environment and the production rate. 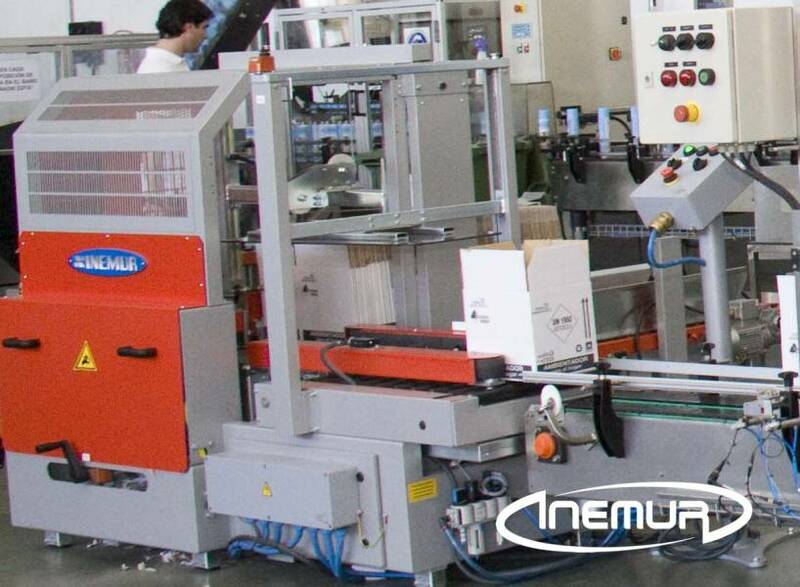 We have different models suitable for each type of industry closed either by hot glue or an adhesive tab. 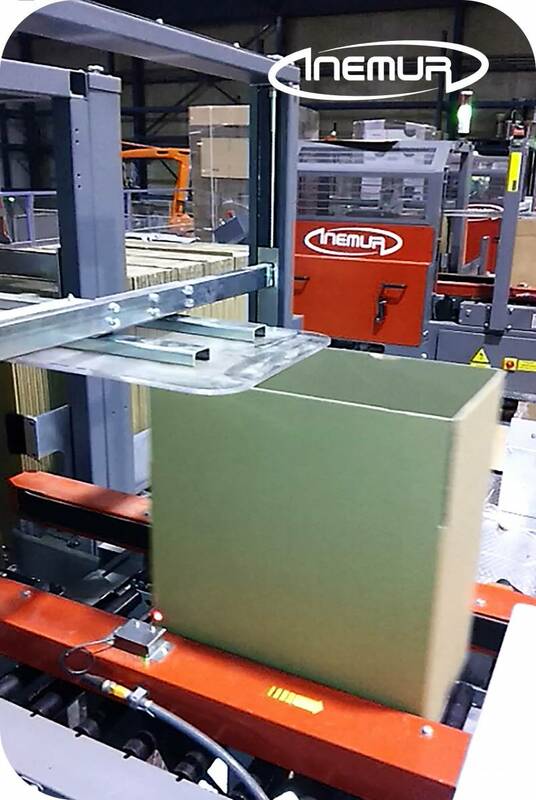 We pay special attention to sealing the flaps thanks to perfect control and manipulation of boxes as well as ease of maintenance, reformatting, and correct operation. 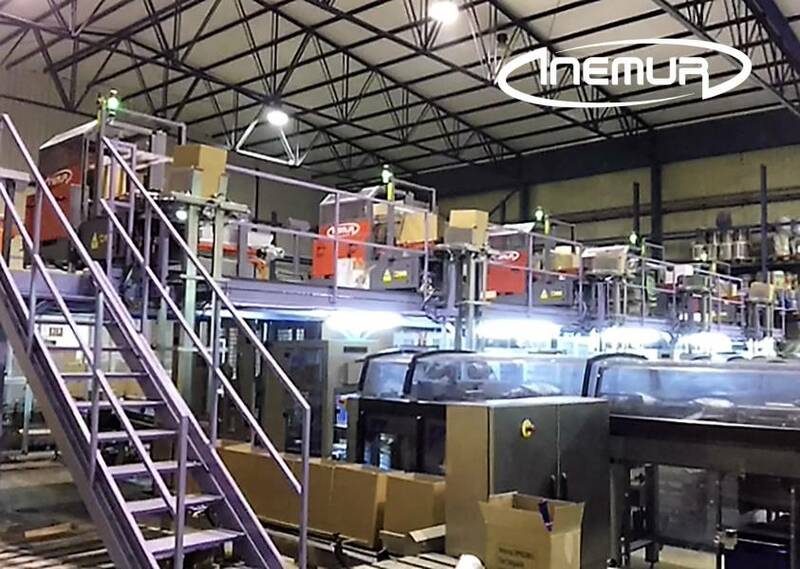 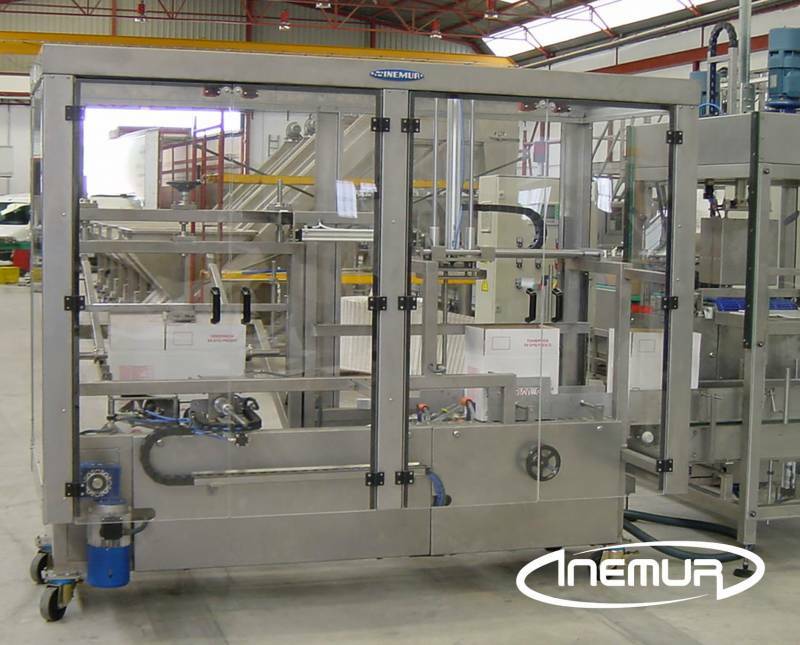 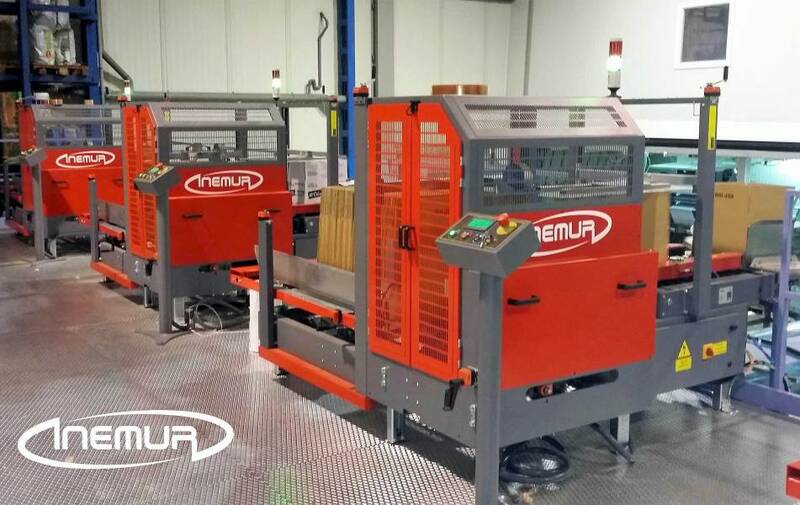 INEMUR also provides to its customer’s the advice to optimize the design and manufacture of the boxes, thus increasing the efficiency of the equipment.